Christy's Kitchen is a family owned bakery on Route 6 downtown Peru IL. Our menu features an assortment of freshly baked desserts custom cakes, wedding cakes, and a catering menu. Our cases are always full, so stop in and treat yourself or someone special to one of our many delicious desserts or breakfast pastries. Bring the family in for our seasonal soft serve ice cream There is something for everyone! 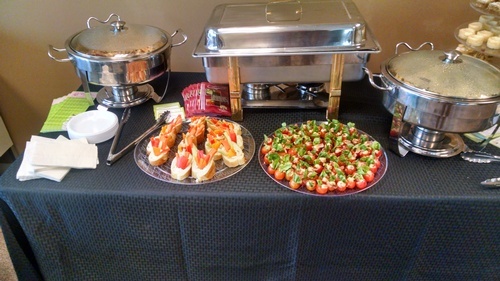 On top of providing impressive service and decadent desserts, we also feature quality catering. From veggie trays to dessert trays, you and your party can enjoy tasteful morsels fresh out of the kitchen.